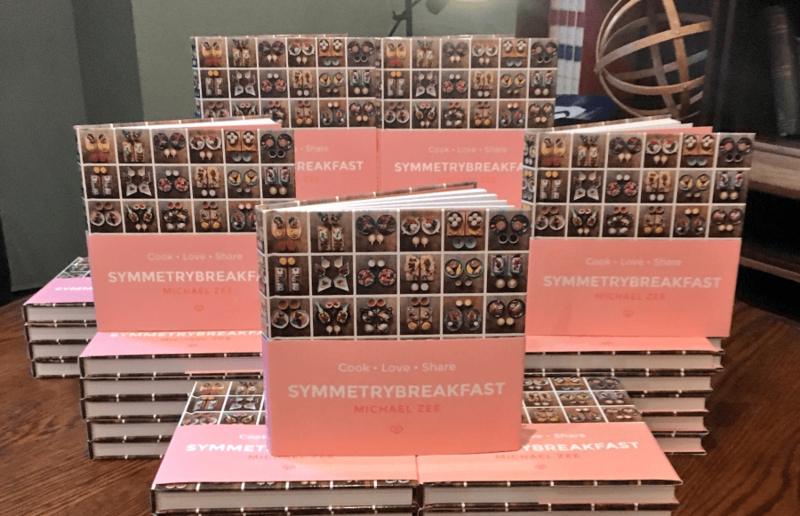 Symmetry Breakfast: Cook Love Share – The book launch! 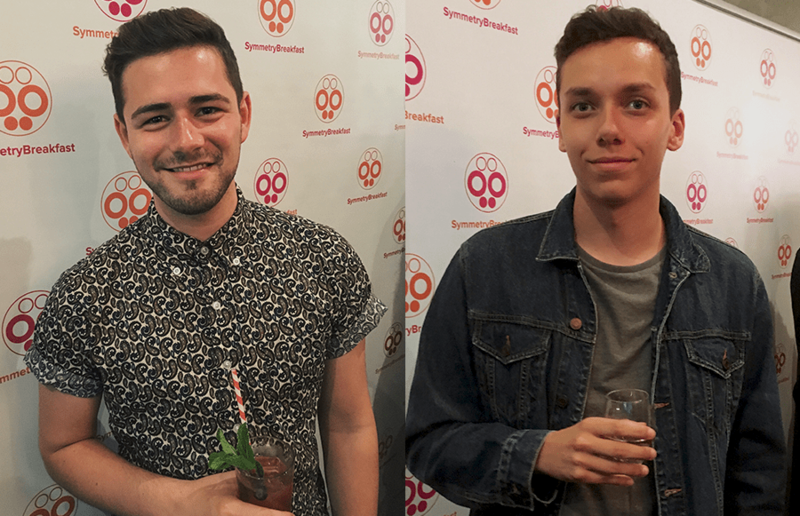 We were lucky enough to attend Symmetry Breakfast’s first ever cookbook launch at the Hoxton Hotel in Holborn, and it’s going to change the way you look at breakfast forever. In case you’ve never heard of it, Symmetry Breakfast is an Instagram feed run by Michael Zee, who began the account when his boyfriend, fashion designer Mark van Beek, moved in with him. Often being away from home and busy at work breakfast was often one of their main and only times to enjoy each others company and therefore became a celebratory occasion. Since then it has grown into a project that incorporates world foods, culture and design aesthetics through the meal of breakfast. Each morning they post a picture of two identical breakfasts which they eat together – and Michael has 608,000 followers and counting. We congratulated and grabbed a word with Michael Zee at tonight’s launch, as well as celebrating the wonderful launch of his book – which offers a selection of never before seen recipes and inspiration from around the world. Giving a thank you speech, Michael revealed the book began with 5 words… “Mark, will you marry me?” To which, he of course said yes! The book really is about the love of cooking, and enjoying each others company. Symmetry Breakfast has become a phenomenon. Incorporating local food producers, retailers and designers it has become a creative outlet for promoting young and new talent, and it’s incredible to see how making breakfast can be made to look so beautiful. If a book wasn’t enough, a range of homewares is in the pipeline as well – according to Michael, and with his gorgeous selection of crockery you can already tell it’ll do well. 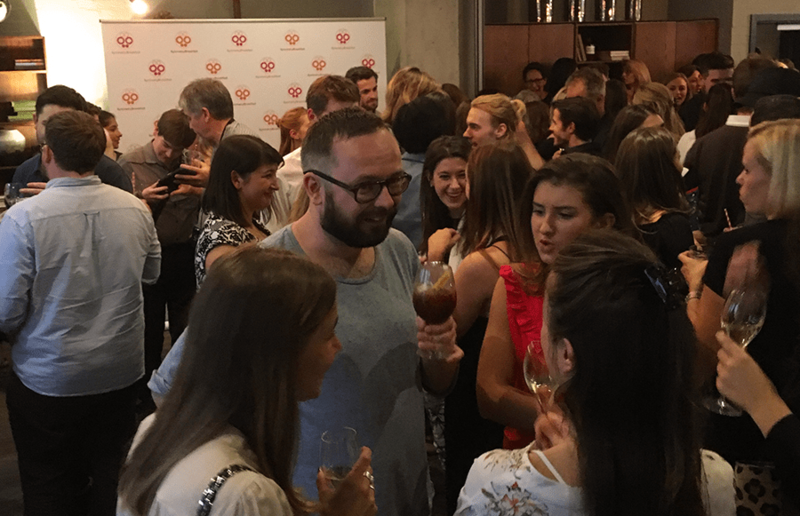 As well as a welcoming launch party, Michael worked with some exciting partners to bring a selection of cocktails to the event. On the menu was a G&Tea, infused with peach and apricot created by The Rare Tea Company, Sunday Roast, a special blend expresso with home made cascara syrup as well as cinnamon and tobacco made by The Roasting Shed and and Blueberry Collins made by Newton and Pott which featured breakfast Blueberry Jam, lemon juice and London Dry Gin, topped with fresh mint and blueberries. Is there more to come from Michael? “Hopefully” he told us. With it being his first published book, it’ll be important to see how well it sells… However with a hugely popular Instagram account, and a truly romantic story behind the meaning of the account, we think it won’t be long until we see book 2, 3 and 4. We’ve got our signed copy, and we can’t wait to try out one of the tantalising recipes soon! Follow Symmetry Breakfast on Instagram @symmetrybreakfast, and you can buy the new book, Cook Love Share on Amazon now. Uncover Old Street's secret hide out, inside the Underground Station!